Unlike many ancient cultures around the world, the Anasazi did not leave books or scrolls detailing their history. Yet we seem to know so much about this culture. How can that be? During the 19th and the beginning of the 20th Century, much of what we know about the Ancient Ones was determined by simple and, often, unscientific techniques. For example, two Colorado cowboys are said to have discovered the magnificent Cliff Palace structure at Mesa Verde on a bitterly cold day in December, 1888. The male members of the ranching family soon became amateur archaeologists, digging, gathering and selling pottery, weapons, tools and other artifacts, mostly to museums. Even without formal training, they were able to identify major distinctions in the pottery they found and conclude that different sites were occupied during different time periods. For more information, see Major Anasazi Sites: Northern San Juan Region. In the late 20th Century, the melding of more sophisticated scientific techniques and contemporary Native American Indian knowledge has dramatically increased our understanding of these peoples. 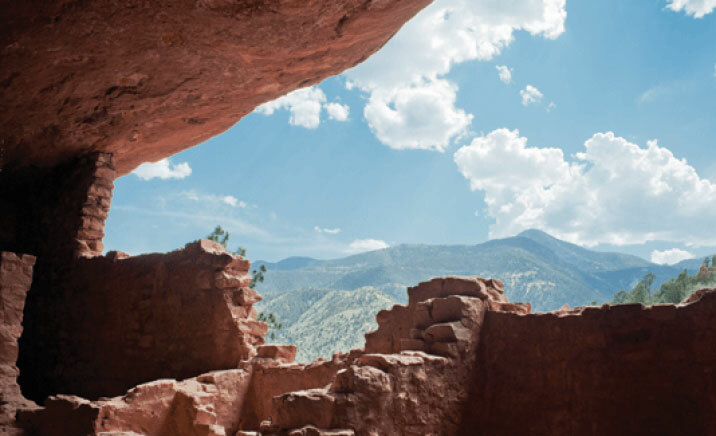 For some time, many scientists have gone about their business privately evaluating the physical evidence and positing theories about the long-gone Anasazi. Scientific speculation about the “mysterious disappearance” of the builders of the cliff dwellings continued up to the current era. Many descendants of the Ancient Ones, who had forgotten neither their ancestors nor the ancient towns and cities they built, were angered by what they saw as White Man’s presumption. Recently, however, the circle has been completed, and science has had help filling in the blanks. These days, more respect and attention is being paid to living Southwestern natives and their oral clan histories, which have been passed on from one generation to the next for millennia. Now, native stories of tremendous migrations, accounts of natural events and recollections of times when ancestors lived in specific places in the Southwest are correlated with historical and astronomical records, rock art, pieces of pottery, carbon-14 dating and tree-ring dating to determine with a high degree of certainty which clans built and occupied major sites, when particular sites were built and abandoned, why the inhabitants moved and where the builders’ descendants live now. What kind of physical information about the Anasazi do we have? Well, there is the pottery and pot fragments that we’ve found. Archaeologists can identify and date distinctive styles of pottery, the people who made it, and the evolution over time of form, style and design. Thus, pots and potsherds found at a site can help scientists determine who inhabited the site and the general time period during which it was occupied. Then, there are the distinctive designs that identify individual clans and their symbolic language in the form of pictographs describing things like celestial phenomena, Earthly events and physical and spiritual beings. Many Southwestern pictographs are painted or inscribed on pottery. Perhaps the most dramatic are petroglyphs carved on boulders and in the stone walls of canyons and buildings. A more modern technique of dating arises out of the fact that tree growth and tree ring width vary each year with precipitation. Now, by examination of annual growth rings in the trunks of trees and correlating the overlapping histories of hundreds of thousands of cut timbers with written, oral and other physical records, scientists have recorded climatic cycles for nearly 9,000 years. Dendroclimatologists, as these scientists are called, can accurately date events as far back as 6700 B.C. They can examine the rings of beams in ancient Southwestern buildings and determine the exact year in which the tree was cut and used in construction. The oldest timbers help to establish the end of a period of occupation of a site. Oral histories describing individual clans’ travels and stops at specific sites, their accounts of eclipses, comets and other celestial events, and recollections of droughts and other major natural events are correlated with pictographs, petroglyphs, clan “signature” symbols, potsherds, tree-ring dating and historical records of astronomical and Earth events to further refine our understanding of this “prehistoric” period. In fact, in this more enlightened era, as we’ve learned to trust the oral histories, the whole idea of “prehistory” is being challenged.